It wasn’t that long ago when collaborating with others doing genealogy research meant going to a local genealogy meeting, or traveling to a regional, national or international conference, or looking up fellow researchers in a printed directory, and sending people letters and documents via postal mail. While meeting other researchers in person is still a great thing, and sending items via postal mail can still occasionally be useful, the Internet has thankfully made finding and collaborating with other researchers easier. I wrote earlier about finding other researchers who are looking for people with the same surnames in the same towns through the JewishGen Family Finder (JGFF). That is the best way to find specific researchers that might be researching the same family members as you, but what about more general questions you might have? What if you don’t actually know which town the family lived in? What if the knowledge you need is not specific to your family, but something specific to a document you found – like interpreting a Polish-language birth certificate, or trying to find a town listed in a a document you’ve found. While gaining access to many documents online is great for genealogy, and having a way to contact distant archives for free and quickly (via e-mail) is very helpful, the biggest improvement to genealogy in the past decades is really the ability to tap into the group knowledge of all the other researchers out there. There are various way to tap into this knowledge, but I think one of the most useful ways is the variety of topic-specific mailing lists out there. By finding the right mailing list, either a broadly defined group with many people, or a very narrowly defined group with only a handful of people, you can find the right people with the right knowledge to help you with your genealogy research. JewishGen operates a number of heavily-used mailing lists that are specific to Jewish genealogy. Starting with their main list, the JewishGen Discussion Group, which is a kind of catch-all list for Jewish genealogists where you can ask any questions you might have. If you follow this list you will learn a lot about the problems other people are having and will be able to apply some of their solutions to your own research. In order to join a mailing list on JewishGen, you should first join JewishGen (which is free) and then go to the mailing list administration page to add lists you’d like to subscribe to to your account. Austria-Czech SIG A forum for those researching Jewish genealogy in the areas formerly known as Bohemia and Moravia (now the Czech Republic), plus parts of Austria, especially Vienna, but not Galicia. Belarus SIG A forum for researchers with Jewish family roots in country now known as Belarus and more specifically from the former Russian Gubernii (provinces) of Grodno, Minsk, Mogilev, and Vitebsk. BIALYGen: Bialystock Region The city of Białystok and nearby towns and villages, currently in Poland, formerly in the Russian Empire’s Grodno Gubernia. Danzig SIG The Jews of Danzig/Gdańsk, and its precursor communities of Alt Schottland, Langfuhr, Mattenbuden, Weinberg, Danzig in der Breitgasse, and Tiegenhof (Nowy Dwór Gdański). Early American SIG A forum for those researching Jewish immigrants to the United States before 1880. French SIG A forum for Jewish genealogical research in France and French colonies, as well as other French-speaking areas such as Belgium, Luxembourg and Switzerland. German Jewish SIG A forum focused on geographic, historic and linguistic Germany, including parts of Switzerland, Poland, and Alsace-Lorraine. Gesher Galicia SIG A forum for those interested in researching their Jewish roots in the former Austrian province of Galicia (now southern Poland, western Ukraine). H-SIG Hungarian Jewish Special Interest Group is for those with Jewish roots in the area known as “greater Hungary” including areas that at one time were predominantly Hungarian speaking. JCR-UK SIG Jewish Communities and Records (JCR-UK): A project to record genealogical and historical information concerning the Jewish communities of the United Kingdom. Latin America SIG A forum for researchers with Jewish family roots in all countries of Latin America. Latvia SIG A forum for researchers of Jewish families of Latvian descent. Litvak SIG Encourages preservation and computerization of primary sources of genealogical data, for the descendants of the Lithuanian Jewish community. Lodz Area Research Group A forum for those researching the city of Łódź, Poland, and localities within a 40 mile radius – in Congress Poland’s gubernias of Piotrków, Płock, Warszawa, and Kalisz. Rabbinic Genealogy SIG A forum for those interested in Rabbinic genealogy or researching rabbinic ancestry within any geographic area or time period. Romania SIG A forum for those with Jewish roots in Bessarabia, Bukovina, Dobruja, Maramures, Moldavia, Transylvania and Wallachia (all within the modern nations of Romania, Moldova, and southwestern Ukraine). Scandinavia SIG A forum for researchers with Jewish roots in Finland, Norway, Sweden and Denmark – including former Danish colonies and protectorates. Sephardic SIG A forum for researchers of Sephardic genealogies. English is the preferred language. South Africa SIG A forum to discuss the genealogy and family history of Jewish communities of South Africa, Lesotho, Botswana, Zimbabwe and Zambia (Rhodesia), Swaziland, Mozambique and the former Belgian Congo. Ukraine SIG A forum for researchers with family origins in the former Russian Empire gubernias now in the Ukraine: Podolia, Volhynia, Kiev, Poltava, Chernigov, Kharkov, Kherson, Taurida and Ekaterinoslav. Warszawa Research Group A forum for those researching Warszawa (Warszaw), the capital city of Poland. They also have mailing lists for special projects, like the Yizkor Book Project and DNA Testing, for community research groups including Borislav, Drogobych, Sambor, and Vicinity, Ciechanow, and Courland Area groups, as well as host the mailing list of the JRI-Poland project. While you might get lucky in the main research group, you will find that if you join one of these more specific groups you will be much more likely to find people researching the same families, or at least familiar with the resources available for researching your family from one of the regions covered. I recommend joining the main JewishGen list and whichever regional groups cover where you think your family originates. Rootsweb is one of the original online communities for genealogists. There are many free resources available on the site, including the Social Security Death Index (SSDI). They are now owned by Ancestry.com, although the sites are not directly connected. Rootsweb hosts over 32,000 mailing lists covering many different genealogy topics, including specific regions, surnames, ethnicities, etc. Not all of these mailing lists have active users. You can sign up for a mailing list on Rootsweb and not see a post for months, even years, but there are still some very useful lists on rootsweb, and if you find the one person you need to answer your question, then it doesn’t matter how many message are posted a week. One way to gauge the current traffic of a mailing list is the browse the message archive and see how recently messages have been posted. JEWISH-ROOTS anyone interested in Jewish genealogy. AUSTRO-HUNGARIAN-JEWISH A mailing list for anyone with a genealogical, cultural or historical interest in Jews with Austro-Hungarian ancestry. BERDICHEV A mailing list for Jewish genealogy about the past Jewish community of the city of Berdichev, Russia (now Ukraine). See home page for more information. BOMZE The BOMZE surname and variations (e.g., Bomzer, Bomser) in any place and at any time but primarily Jewish Bomzes originating in Poland. BRITISH-JEWRY A mailing list for anyone with a genealogical interest in British Jews. BROWN-JEWISH For the discussion and sharing of information regarding the Brown surname and variations (e.g., Braun, Braumeister) with Jewish origins in Russia, Ukraine, Poland, Belarus, Austria, and Germany. GRODNO A mailing list for anyone with a genealogical interest in Grodno Gubernia, a division of the Russian Empire. While the focus of the list will be on Jewish family history research, other subscribers with an interest in the area are welcome. See home page for more information. HIBEL Jewish Hibel surname and variations (e.g., Hebel, Hübel, Huebel, Heubel, Hubal) in any place and at any time, but with an emphasis on Galicia/Eastern Europe. JUDEO-ALSATIAN A multilingual English-French-German mailing list for anyone with a genealogical, cultural or historical interest in the Province of Alsace, nowadays France, related to their Jewish roots. Anything that concerns Jewish-Alsatian traditions, culture, folklore, heritage, or why not old recipes and daily life in ancient times in the Province of Alsace is an appropriate topic. LITHUANIA-JEWISH A mailing list for anyone trying to trace their Jewish roots back to the 18th century Grand Duchy of Lithuania – Kingdom of Poland Commonwealth before Jews had surnames. Additional information can be found on the Jewish Family History Foundation website. POL-KRAKOW-RESEARCH-GROUP A mailing list for anyone with a genealogical or historical interest in the Jews of Krakow, Poland. SZTERN A mailing list for the discussion and sharing of information regarding Jewish but non-German branches of the Sztern surname and variations (e.g., Stern, Stein) at any time. Primary focus is on branches which were in BEL (Belarus), UKR (Ukraine), POL (Poland) and/or New York circa the late 1800s/early 1900s. TESLER A mailing list for the discussion and sharing of information regarding the originally eastern European Jewish surname Tesler, Tessler, and Teszler in any place and at any time. Turkish_Jews Sephardic Jewish genealogists with roots in the former Turkish Ottoman Empire including Turkey, Serbia, Greece, and Yugoslavia. TX-JEWISH A mailing list for the discussion and sharing of information regarding the genealogy and history of Jewish immigrants and religion in Texas. UKR-CHERNIGOV A mailing list for anyone researching their Jewish roots in the Chernigov Gubernia, a province in Russia from 1802-1929/1932 and since then a province in the Ukraine known as Chernigov Oblast. See home page for more information. UKR-KREMENETS A mailing list for anyone with a genealogical interest in the Jews who once lived in the Kremenets District of Ukraine and their descendants. Topics will include updates and discussions about Jewish genealogy in the towns, villages and shtetlach of the Kremenets District. UKR-ODESSA-GEN Jewish genealogy in Odessa, Ukraine area. See home page for more information. WINOGRAD A mailing list for the discussion and sharing of information regarding the Winograd surname and variations (e.g., Winagrad, Wynagrad, Wynograd) in any place and at any time but primarily Jewish Winograds originating in Poland or Belarus. WOLFSHAUT A mailing list for the discussion and sharing of information regarding the Jewish surname Wolfshaut and variations (e.g., Wolfsont, Wolfsout, Wolfshout, Wolfshant, Wolfsant, Wolfsaut, Wolfshont, Wolfset) in any place and at any time. Most of the above lists, with the exception of British-Jewry, are not particularly high-traffic lists, but many of them have people who are very knowledgeable about their topics who can help you if your research falls into the purview of their topic. I’m going to mention Google Groups quickly, because it is after all Google, but truthfully there are not lot of groups on Google of interest to Jewish genealogists. The primary resource on Google Groups that is useful to Jewish genealogists is access to the newsgroups that are a part of the very old Usenet system, in particular soc.genealogy.jewish. soc.genealogy.jewish is a way to look back at more than 15 years of Jewish genealogy discussions, and searching it through Google’s interface is a great way to find out about the discussions that have taken place about towns and surnames you are researching. soc.genealogy.jewish is still actively used so you can post new messages there and get responses to your general questions as well. Google Groups does allow you to set up your own mailing lists, but there are not many Jewish genealogy mailing lists on Google Groups, and I suspect the reason is simply that Yahoo Groups are much easier to set up and manage. If you decide one day that you want to start your own Jewish genealogy mailing list – perhaps covering your ancestral town or your family, etc. Yahoo Groups is a great way to set up a mailing list quickly. In addition to a mailing list, you also get a file upload area, photo albums, a database and other advanced features. It is also very easy to manage the mailing list, moderate messages, reject messages that are spam, or even to modify messages before they get posted (such as adding a moderator’s message when a discussion veers off-track). Because setting this up is so easy, it really has become the serivce of choice for setting up small discussion groups for many topics. There are dozens upon dozens of groups of interest to Jewish genealogists on Yahoo. The best thing for you to do is try searching for your ancestral towns, or regions, or surnames, etc. and see if there are groups already set up to discuss your specific areas of interest. The following table is a list of those groups that mention Jewish genealogy, but many likely do not use those specific words, but will show up if you’re searching for them by town name, etc. The following table is not alphabetical, but actually ordered according to whatever metric Yahoo uses to determine the popularity of a group. The more popular groups are at the beginning of the table and the popularity declines are you continue down the table. SephardicForum The purpose of this forum is to discuss SEPHARDIC/JEWISH GENEALOGY, GENEALOGY TOOLS, HISTORY, CUSTOMS and other issues related to genealogy. We invite those of good will regardless of religious beliefs to visit and participate. saudades-sefarad Portuguese-Jewish history, culture, genealogy. J-Pultusk Researching your Jewish ancestors from the Pultusk area, north of Warsaw? Link up with others also looking for family tree connections in Pultusk and surrounding area, now in Poland and once part of the Tsarist Russian Empire. 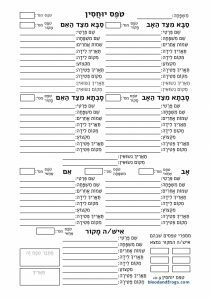 JFRA Discussion list of the Jewish Family Research Association (JFRA), a Jewish genealogy organization based in Israel. JewishKeidan For anyone with a connection to or interest in the town of Keidan, Lithuania. For nearly 500 years, Keidan – now called Kedainiai – was home to a proud and vibrant Jewish community. Chelm This is a forum specifically dedicated to the town of Chelm in Poland. Sacz This group is composed of genealogists, who are researching their Jewish roots to the town of Nowy Sacz, Poland. In the past this town has been known as Neu Sandec, Neu Sandez, Nowy Sancz, Tsants, Sants, Tsanz, Sanz, Zanz,etc. See here for more info. Sephardic Jewish Genealogy The mission of the genealogy group is to research information about Sephardic Jewish Families from France and Canada. This includes the discussion of the Canadian-Anusim Family Tree DNA Project and our test results. Jebenhausen The Jewish community of Jebenhausen, near Goeppingen in Wuerttemberg (Germany), was founded in 1777 and dissolved in 1900. This list aims at a virtual reunion of descendants of Jebenhausen’s Jewish families, and invites discussions on all issues relevant to the community history, genealogy and related matters. JewishR1b DNA Researcher group for Jewish people in the R1b haplogroup. The R1b haplogroup is the most common haplogroup in Western Europe, yet it is found in only a small percentage of Ashkenazi Jews (roughly 10%). Jewish Mendoza Family This is a place for members and descendants of the Sephardi Jewish Mendoza family to share information on their history and genealogy. Piotrkow History, genealogy and current events of the Jews of Piotrkow Trybunalski, Poland, and their descendants. J-Frankfurt Researching your Jewish ancestors from Frankfurt am Main? Link up with others also looking for family tree connections in this ancient German city. Olkieniki For persons descended from residents of Olkieniki, Lithuania, and others interested in that area. It’s primary focus is on Jewish Genealogy. botosani-gen This group is concerned with genealogy in the Botosani (Romania) area. The majority of members are of Jewish descent although there is no plan to omit anyone else. Everyone interested in Botosani is welcome. Zamosc A mailing list for anyone with a genealogical or historical interest in the town of Zamosc, Poland. Kanczuga For the discussion of Jewish genealogy research of people whose families came from Kanczuga, Poland. Ziv Jewish Surname Devoted to the Ziv Jewish surname (Sieff, Ziff, Zeev, etc.). Jewish Mogielnica Project Mogielnica known as “Mogelnitsa, Mogelnitse, Mogelnitza, Mogielnicy” Mogielnica is an urban-rural gmina (administrative district) in Grójec County. maramaros-sig For anyone interested in researching their Jewish Ancestry in the Maramaros County (Romania/Ukraine) area. Vistytis, Lithuania This group has been set up with the purpose of collecting and sharing information concerning Vistytis and all those individuals and families who have their origins there or for those who have an interest in the town. Voliner Jewish Ancestry This group is for those interested in tracing their Jewish family roots in and around the area of northwest Ukraine known as Volhynia Gubernia, which borders Poland and Belarus. Among the major cities in Volhynia are Lutsk and the crossroads city of Kovel. Sanok This group is composed of genealogists, who are researching their Jewish roots to the town of Sanok, Poland. Dzialoszyce Association Dedicated to our Polish ancestors from the town of Dzialoszyce, Jewish survivors of the Holocaust, and their descendants. BORSZCZOW Research Group This Jewish genealogy group is dedicated to the town of BORSZCZO’W which was part of the Austro-Hungarian Empire until the end of WW1(Galicia) then became part of Poland until the end of WW2 and is now in the Ukraine. See here for more info. sephardic-list The International Sephardic Discussion Group is an Internet based group of members who discuss issues pertaining to Sephardim, past and present. We do not talk about religion on this list. Cotopaxi Jewish Agricultural Colony Between 1882 and 1884, as many as 80 Jewish immigrants came to Cotopaxi, Colorado, in an attempt to farm the land there. This is a place for those who are researching the genealogy of the Cotopaxi Colony. Hostow Galicia Village The site was created to allow those with Ancestral Roots belonging to the village of Hostów ( Hostiv, Gostev, Gostiv Pop 1983-36% Polish in Y1907)and Tarnowica Polna (Ternovytsa, Pop 1798 -90% Polish) located 3 km apart to connect with their ancestral history within Eastern Galicia(Pokucie/Kresy). Stern Surname Devoted to the Jewish surname STERN. Mostly genealogy, but any information on the surname is welcome. Miller Surname List dedicated to the genealogy of the Miller/Mueller/etc. [Jewish] surname. Plontch (Polaniec) Descendants For descendants of Jews who lived in or near the Jewish Shtetl (town) of Plontch (Polaniec), which was located in Kielce Gubernia, in South-Eastern Poland. User group for DoroTree, the Jewish genealogical program. GenShards II The networking and sharing site for members of the Greater Houston Jewish Genealogical Society. Feldman Surname A place for those researching the Jewish Feldman surname, particularly into Eastern Europe. Pinskers The Pinsker Research Group conducts and facilitates genealogical research related to the Jewish Community of Pinsk. Podhajce Galicia For those researching their Jewish roots from Podhajce, Galicia (now Pidhaytsi, Ukraine). Plock Research Group This Jewish genealogy group is dedicated to the town of Plock, today called Plotz, in Poland. ancestors lives in Pavoloch and connecting with lost family members. Czortkow This Jewish genealogy group is dedicated to the town of Czortkow which was part of the Austro-Hungarian Empire until the end of WW1(Galicia) then became part of Poland until the end of WW2 and is now in the Ukraine. SHUTER LESSER Families – East End London Isaac and Samuel SHUTER, sons of Michael SHUTER from Lissa, Prussia (now Leszno, Poland) were both married in the Great Synagogue of London in the year 1850. Justingrad For those people interested in Justingrad (aka: Yustingrad/Ustingrad), Kiev (Kyjiv), Russia (now Ukraine). Kalush Dedicated to the town of Kalusz (Kalush) which was part of the Austro-Hungarian Empire until the end of WW1(Galicia) then became part of Poland until the end of WW2 and is now in the Ukraine. Mielnitsa Dedicated to the town of Mielnitsa which was part of the Austro-Hungarian Empire until the end of WW1(Galicia) then became part of Poland until the end of WW2 and is now in the Ukraine. Jews of Jaslo Devoted to exchange of information about Jewish residents of pre-1939 Jaslo – a town in southeastern Poland’s district of Podkarpackie (formerly in Galicia). Yanina For Jewish descendants of families from the Greek city of Janina. Taubes Surname For the discussion and sharing of information regarding the Taubes surname and variations (e.g. Tobias). Canadian Jewish Genealogy This group is for all Canadians to talk about Jewish Genealogy. 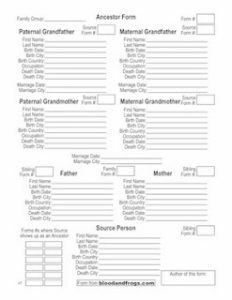 Don Surname For anyone researching families with the surnames Don or Donn or Dan or Dun or Dunn of Jewish origin. Markus/Marcus Surname For anyone researching families with the surname Markus or Marcus of Jewish origin. Stotter Surname A list for all the STOTTERs who wish to find out if and how they are connected. There are numerous other mailing lists and discussion groups out there on the Internet, and you should try searching for groups that are connected to your specific research areas such as town names and surnames. For towns, always check the ShtetLinks page for your town to see if they mention other resources like mailing lists. Also search the archives of the larger lists like the main JewishGen list, or a regional list like Gesher Galicia (if your town is from Galicia) to see if other mailing lists have been mentioned for your town or whatever topic you are researching. You can even search all of the JewishGen mailing lists at once. If I’ve missed a great Jewish genealogy mailing list, please let me know in the comments. I will be adding mailing lists mentioned in the comments at the end of the posting as people make me aware of them. Wolinsky Family Circle For descendants of Wolinsky (and variants Wolin, Wolins, Woliyniec, Wolinetz) from the town of Antopol, Russia (now Belarus) and the surrounding area. This group includes descendants of Baruch Wolinsky of Antopol. Mir, Belarus A mailing list composed of Jewish survivors from Mir, descendents of former residents and descendents of students of the Mir Yeshiva. Link is for the web site, e-mail the moderator for access to the mailing list.